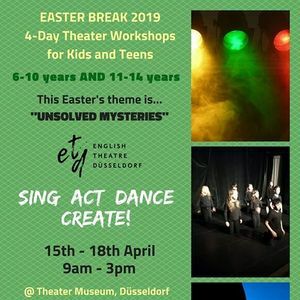 Easter 4-Day Theater Workshop for kids! 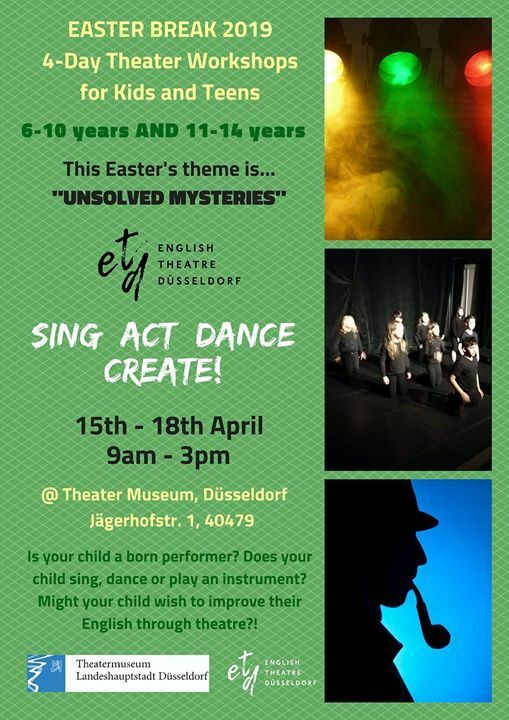 ENGLISH THEATRE DÜSSELDORF is offering four days of Theater workshops, in English, for children between the ages of 6 - 10 years old AND 11 - 14 years old, from 15 - 18 April. These workshops focus on performance; combining scripted and devised theatre, as well as designing simple costumes, props and set. The Theme for the theater workshop is "UNSOLVED MYSTERIES"